This weekend I found myself in the the beauty lover's heaven that is Sephora, and on the Champs-Élysées in Paris no less - cue angels singing. I've always been incredibly jealous of those lucky enough to have a store in your own backyard - all the best brands in one black and white stripy space, and lets not forget the adorable minis on offer. Believe it or not though despite spending over an hour in there (much to Darren's disapproval) I only picked up one thing for myself! 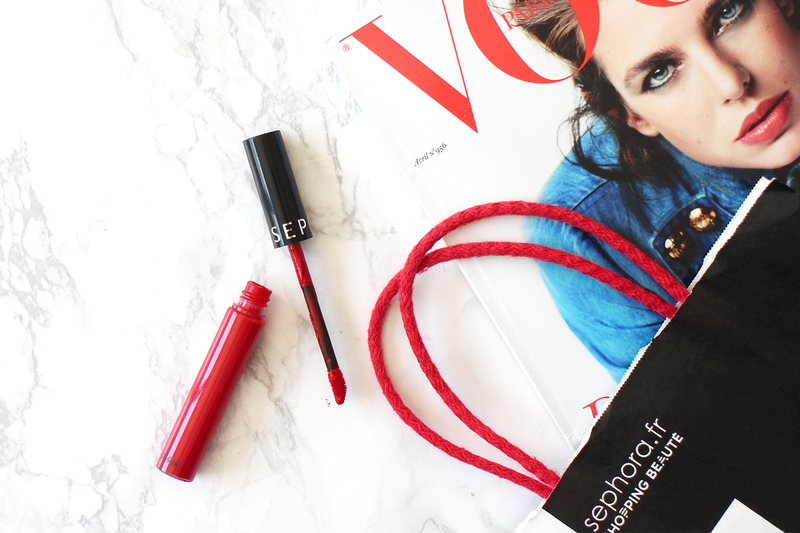 I've had the Sephora Cream Lip Stain in Always Red on my mind for some time now but held off until I could swatch it in person, because - let's be honest, do I really need to add another red liquid lipstick to my collection? The answer this time was an absolute yes. This really is a true cool toned red, something I surprisingly don't own in this type of formula and the application and finish are the closest thing I've ever felt to velvet on my lips. The colour is rich and hangs around for the entire day but feels comfortable enough for you to forget it's even there. 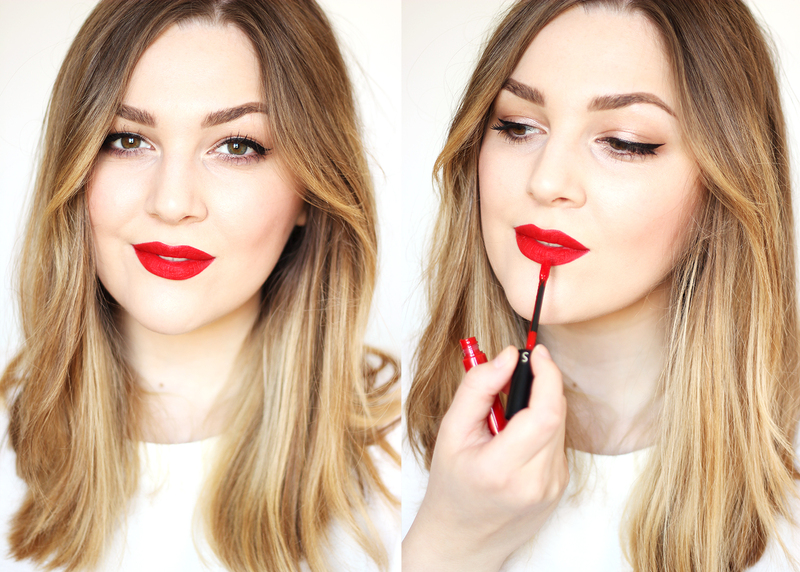 I may have had to go all the way to Paris for it, but as an all-year-round red lip lover it was definitely worth it. Now, had this been a visit to a US Sephora, things would have been quite a different story - I'm not sure they make a big enough bag to hold the amount of products I'd be wanting to purchase, with the likes of Tarte, Make Up Forever and Josie Marran taunting me from afar. Fingers crossed though, I may not have to wait long to start throwing them into my basket - watch this space!